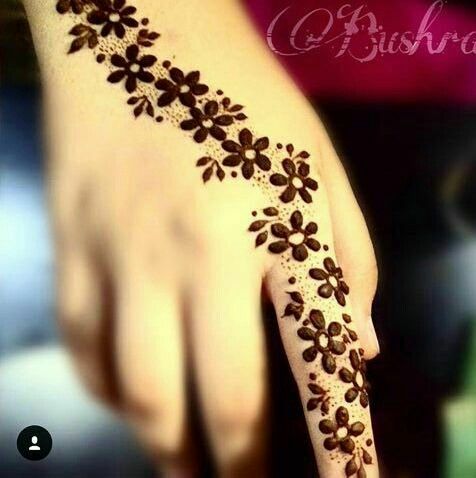 Check out 19 beautiful mehndi designs for the occasion of Teej! The Hindu festival of Teej is here. The beautiful celebrations in the monsoon season are marked by fasting of women who pray to Lord Shiva and Goddess Parvati seeking their blessings for marital bliss. It is extremely popular in northern and western parts of India. Rajasthan in particular wears a glorious spirit in the month of bhado. Ladies wait for the arrival of the long awaited monsoon after a brutally hot summer. 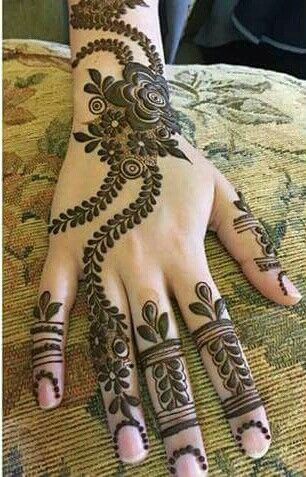 Finally when the rains arrive, ladies (married and unmarried) dress up in yellows and greens, decorate their hands with mehndi and enjoy the festival. Some of the most symbolic activities associated with Teej are – dancing, singing, gorging on Indian homemade sweets and swinging away to glory. Oh! And green as well as yellow colors are pretty much seen everywhere. 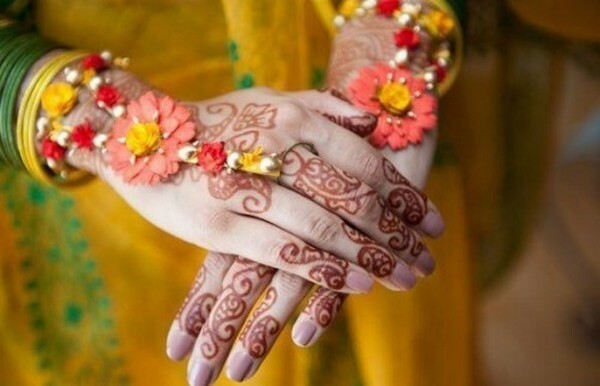 The main attraction is mehndi clad hands decorated with green and yellow bangles and lots of laughter all around! 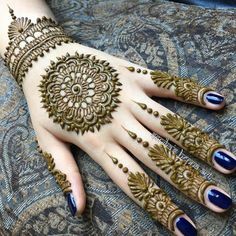 To add fun to the entire art of dressing up for this special occasion, Zuri has handpicked 19 beautiful mehndi designs which are apt for the Teej galore. From Arabic to Moroccan to typical Rajasthani designs, from flowing floral vines to tribal geometrical designs, we have got them all for you. 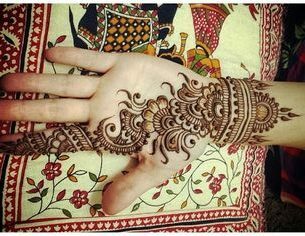 For a new bride, an elaborate, heavily embellished mehndi design is a sure-shot way to be the prime-focus of any Teej gathering. 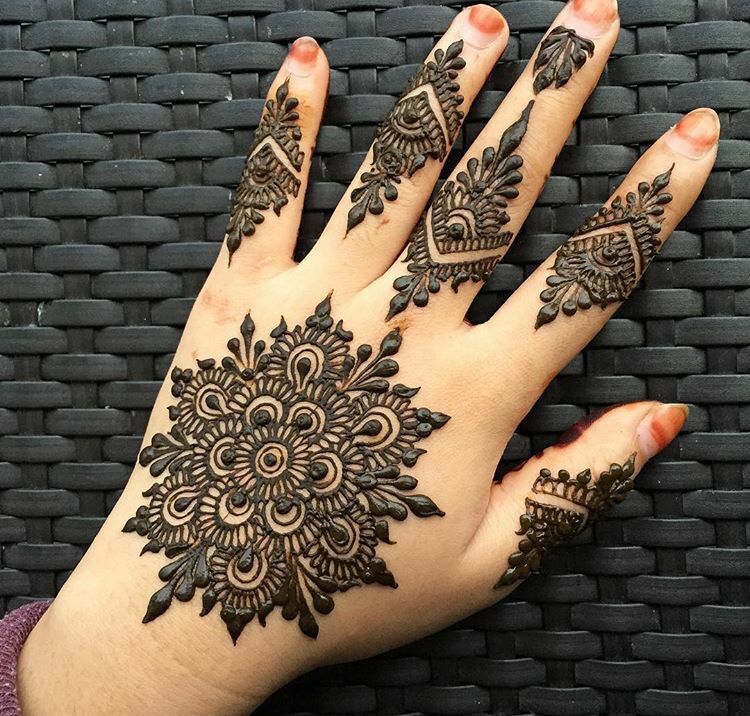 However, if you are looking for a rather simple design, then an Indo-Arabic pattern suits you well. 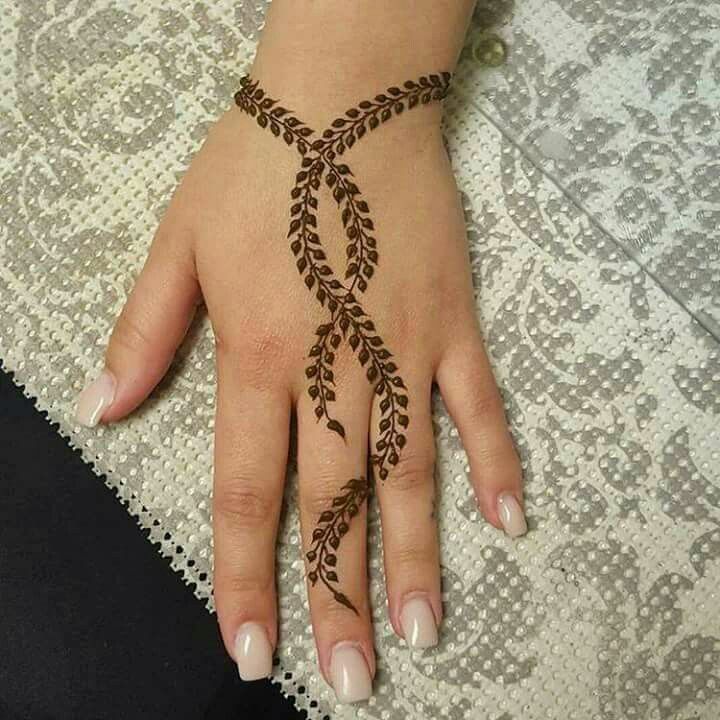 Known for it’s minimalism and simplicity, basic motifs done stylishly, this mehndi form is gaining popularity world-wide. A new bride can also opt for peacocks, flowers, paisleys, mesh, dots, lines, bride-groom pictures. Quirky themes such as the night sky comprising of the gorgeous moon that embraces the sun, and shining stars also look pretty on hands and feet. The other designs that are equally festive and pretty-looking are – zig-zags, swirls, and twirls. They are all quite simple yet elegant. Team it up with a green or mustard lehenga, lehenga saree, salwaar suit or a fashionable Anarkali suit. Don’t forget to wear bangles and a stunning bindi for a complete look! So, for all you ladies celebrating Teej this year, here is wishing you a very happy life ahead. Also, have fun while you get your hands painted in these gorgeous designs.